A new data portal for permeability! Permeability data is tucked many dusty corners of the web and in even dustier reports, books and thesis. 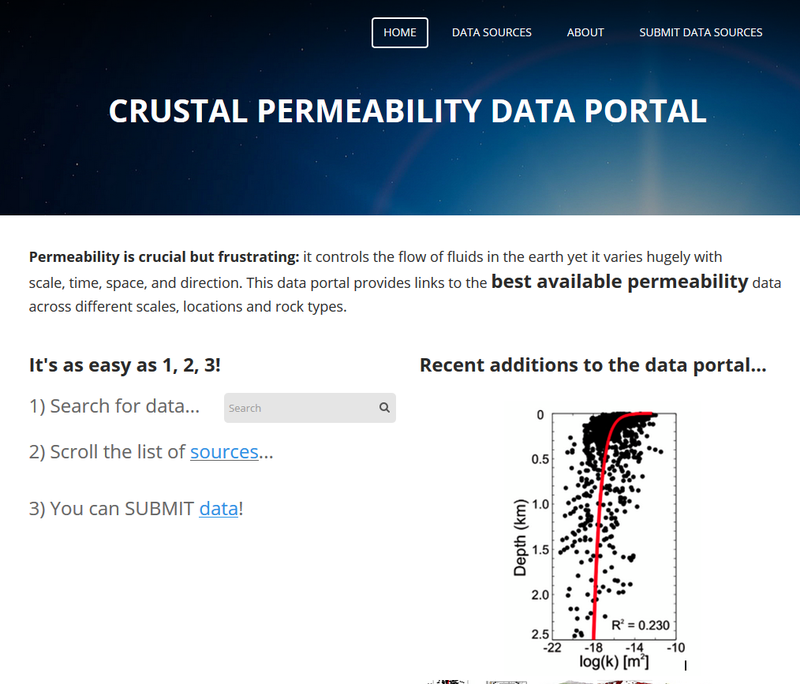 The purpose of the Crustal Permeability Data Portal is to ‘unearth’ (pun intended!) permeability data by providing links to online, peer-reviewed permeability data that is open to anyone around the world. This data portal coll ates links to other data sources rather than hosting data and is a community-based effort that grew out of a compilation of papers on Crustal Permeability (Geofluids special edition and forthcoming Wiley book). A related community-based effort is the Digital Crust which a 4D data system of spatially-located data. The Crustal Permeability Data Portal is different from the Digital Crust since it will not host data and data does not have to be spatially located. Why should I contribute data? Permeability or other related fluid flow and transport parameters such as porosity, storage etc. It’s simple: All you need to do is upload your data and fill out this form.